Famous Psychics of All Time: Edgar Cayce | Am I A Psychic Or Not? Am I A Psychic Or Not? When it comes to psychic abilities, very few people rise above the level of mediocrity. Those who do, leave their mark on the very vast and inexplicable world of mysticism. This article will describe one of the Famous Psychics of all time who started as a layperson and became prominent in the world of spirituality. 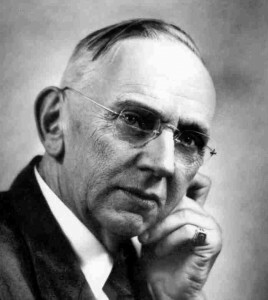 Edgar Cayce was born on 18th March, 1877 in Beverly, near Hopkinsville, Kentucky, USA. He possessed psychic powers since a very early age. Born in a farming family, Cayce was a devoted Christian throughout his life. He received education till the ninth grade and worked in various places when he was a teenager such as a bookstore, a dry goods store etc. In the year 1900, Edgar suffered from severe laryngitis as a result of which he totally lost the ability to speak. In 1901, he was contacted by a professional hypnotist to cure his ailment. The process was successful on stage where Cayce’s voice came back in trance, but when he woke up, he again had no voice. Soon after this, another hypnotist, AL Layne offered to cure his ailment through a session. During the entire session, Cayce was in trance and communicating with Layne, describing his ailment and telling him how to cure it. Cayce himself declared the treatment was successful and it really was. He never lost his voice again. It was Layne who suggested Cayce to offer his treatment to the people. At first he was reluctant but finally started giving free readings. Word started to spread about his readings and soon newspaper articles began to appear. Edgar could read perfectly from an individual’s letter. He said he just needed the name and location of the person to offer a cure for his/her ailment. His accurate readings made him so popular that people from all over the world started to contact him for help. As he was being famous, a lot of fortune seekers and business-minded people started to persuade him – some for luck, some for treasure, some for professional success, and some for experiment. It went on to a point where Cayce announced he would only do readings for the poor and troubled. He always performed his reading in trance with the help of a hypnotist and had a stenographer to type whatever he uttered in the trance. 1920’s to 40’s was the period when Cayce founded various institutions, including the Cayce Hospital. He had his own small staff and a set of volunteers. His fame continued to grow as one of the world’s Famous Psychics. To cater to the number of requests he received, he increased his readings to 8 per day. It soon started taking a toll on his health and led to his death on January 3rd, 1945. 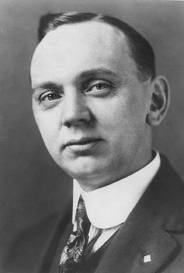 Edgar Cayce has been referred to as a psychic, a clairvoyant, a prophet, a mystic etc. He is most commonly known as ‘The Sleeping Prophet’ because of the way he performed his readings. He has given more than 20,000 readings on various topics such as health, dreams, past life etc. about 8000 of which, are lost. This entry was posted in Famous Psychics and tagged Edgar Cayce, famous psychic, famous psychics, psychic biographies, psychics biography. Bookmark the permalink. Am I A Psychic Or Not? Proudly powered by WordPress. Designed by Köp Online.